Prepaid Data SIM and USB or PCMCIA cards let you read and send emails and access the Internet using your labtop while traveling in China. USB Modem or PCMCIA cards which allow users to connect their laptops to wireless data networks. To achieve local low rate and good coverage, it needs a local China prepaid data SIM. 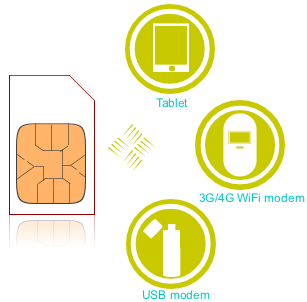 Wireless data cards offer a simple and hassle-free method of connecting to the internet while on the move. 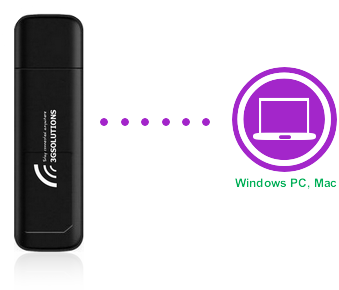 USB or PC cards with the SIM plug directly into the user’s PC slot so it removes the need for mobile phones or other wireless devices to provide connectivity. GPRS Data service is available in all China (not including Hong Kong, Taiwan). You may use the prepaid data sim for your next trip. You can buy prepaid data again before traveling on the same card. It is prepaid, so no large unexpected bills when you return home! No contracts, no credit checks and no monthly fees. Works with unlocked GSM USB or PC cards with 1800/900 bands. 2) Prepaid Data Plan: Please choose a GPRS plan on the order form. A Prepaid data sim has 180 days validity period; If you need a longer validity period, please contact us. We will email you instructions to extend its service life. As long as you continue the recharging, your card will continue to be valid. a) Delivery of your SIM card is FREE to you in main cities in China. 2-3 business days delivery to your hotel/hostel in China to be awaiting you upon your arrival. NOTE: If you have your SIM delivered FREE in China, we will still send you your phone number when we receive your order. (please allow 24-72 hrs. for us to e-mail your phone #) so that you can give it out to those who need it before you leave home. We provide recharge service. Additional airtime can be purchased at here . Minutes will be loaded on your number remotely. Call our phone number 021- 51097153 if you are in China. Call 86- 21- 51097153 if you are in another country.